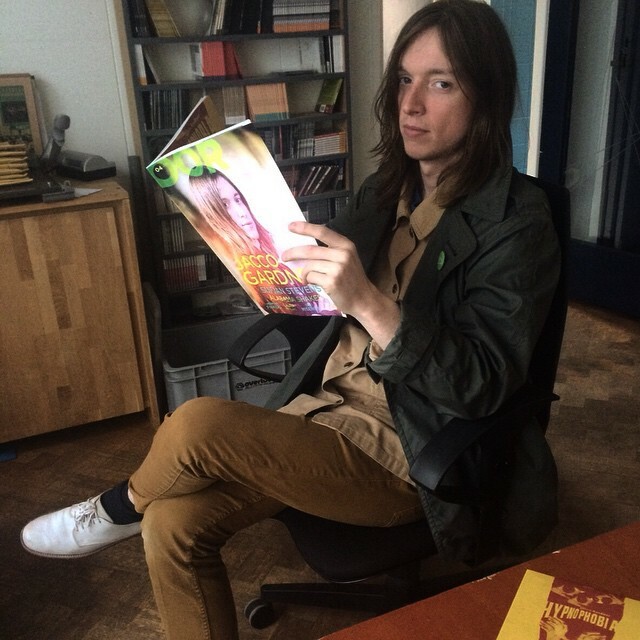 Coming from a town called Hoorn found in the Netherlands is Jacco Gardner, a talented musician who takes orchestral instruments of many shape and sound and overlays a psychedelic effect over them while implementing old school recording methods. Hypnophobia consists of 10 trippy tracks and artwork to match, as well as Jacco experimenting with instrumental sections and vocals that are filtered heavily through reverb and chorus effects to bring a massive sound to 3-4 minute tracks in length. The depth overall of Hypnophobia is much more deeper than most would think as Jacco works with various musicians to bring his vision of music to life and create a atmosphere of exploration into music that can be overlooked in popular mainstream. Contrast Control loves diving into albums such as this for the reason that reviews and opinions can be hard to find as well as fun to take on. Find Yourself – One of the newer singles from Hypnophobia, Find Yourself comes along with a trippy video presentation that follows suit with the song as it features more of Jacco’s vocals than the other songs on the album. One thing i really appreciated about it was his over all sense of music production as it touches on those old school influences and drives right through modern songwriting. Brightly – A song reminiscent of The Monkees or The Zombies in the sense of a haunting undertone and upbeat rhythm creating a euphoric song that can be easily mistaken as a 60 or 70s production. In a sense Jacco is a true renaissance man of the music that shaped the modern sound we have today. Grey Lanes – More instrumentally driven and acoustics are the focal point as the orchestral section is reverbed to the maximum giving off a almost science fiction sound effect panel behind it. One of my favorite things about this song is imagining great films of the sci-fi genre that implemented tracks such as these to give off an unknown feeling of being a small ant in a gigantic world of variables. Outside Forever – Loyalty to someone we confess to love can be a two edged sword. The overall old in sound but timeless in theme song Jacco has created is nothing short of fantastic and refreshing to such a tragic/poetic topic. I repeatedly played this song in appreciation for the slow pacing and soft melodic touch out of all the songs on Hypnophobia. Jacco’s inspiration of daydreaming and where dreams and reality meet is as accurate as anyone can get in regards to this album. With his plethora musicians backing up his live performances and contributing to the psychedelic sound, Hypnophobia proves to be dreams and ideas coming true for this Netherlands musician. 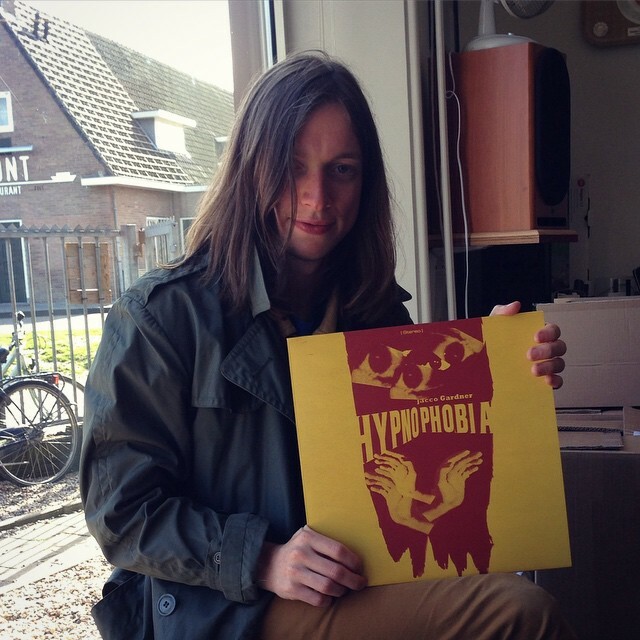 Hypnophobia – A darker entry into the album as the song rings throughout with menacing guitars and a bass rumble that will stop you in your tracks and consider that overall tone Jacco Gardner has taken on this song. The drums as well subtly come into play through various sections, giving Jacco’s vocals a interesting pattern and melody appropriately filtered through reverb and chorus like effects. Before The Dawn – My first impression as the twilight zone-eques intro started and upon final listen before review has given me the feeling of an astronaut who can’t communicate while on a distant space journey. Pretty much in the vein of a David Bowie song. Whether or not that was the original inspiration or just the rambling of this humble writer, Jacco has created a fantastic song to take our imaginations to places of wonder and leave us all replaying the song over and over. While this is a short review of a fantastic album it doesn’t mean that this is all there is to the album. Jacco Gardner leaves it up to you, the listener, the reader, to explore his creative sound and imagine anything you please as long as you enjoy yourself. Hypnophobia has a high recommendation from Contrast Control and I am happily looking forward to learning more about Jacco and his creative process as time rolls on. Personal Favorite Tracks: Before The Dawn, Another You, Grey Lanes, Outside Forever, All Over, Make Me See. Contrast, Control, Feature, Gardner, Hypnophobia, Jacco, James, Old School, Psychedelic, Review, Rock, West. Bookmark.